Explore the fun-filled attractions at SeaWorld and other Orlando theme parks with timeshare accommodations at Hilton Grand Vacations SeaWorld. Find timeshare resales and rentals priced up to 70% below retail price with SellMyTimeshareNow.com today. 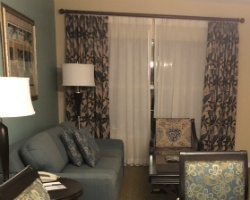 With an impeccable location right in the center of all of Orlando's best attractions, it's hard to top the Hilton Grand Vacations Suites at SeaWorld. Just seconds away from the SeaWorld Orlando park, guests can truly branch out to all of the Orlando area's theme parks, restaurants, museums, golf courses, and so much more. 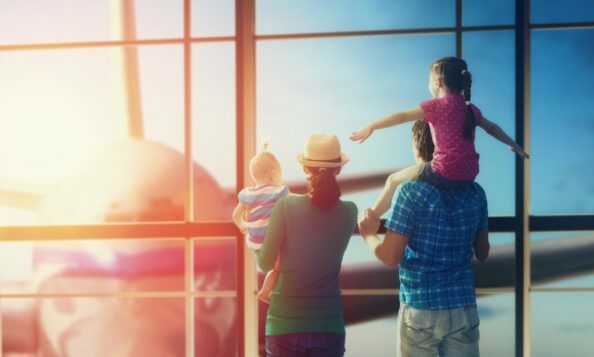 With impressive amenities and services like free shuttle rides to and from area attractions, you'll have everything you need to enjoy your Orlando trips every year. 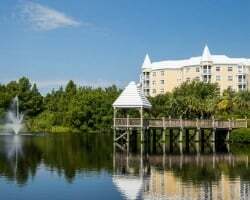 Covering more than 30 acres of land right across the road from SeaWorld, this Hilton resort includes studio units and multi-bedroom suites built for every incoming group of travelers. Whether you're traveling as a couple, as a family, or as a group of friends, the spacious rooms at the Hilton SeaWorld will ensure everyone's total comfort. 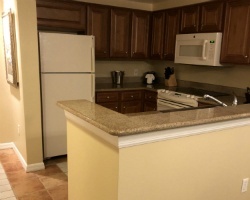 Additionally, with luxury in-unit amenities like washers and dryers, private balconies, and full kitchens, you'll feel right at home while on vacation. If you're ready to secure some amazing Orlando accommodations, the timeshare resale and rental advertisements on SMTN.com are waiting for you. Fill out the form on this page for more information, or call a representative directly at 1-877-815-4227. Timeshare resales are typically priced much lower than what's offered directly by the resort. Because current timeshare owners are the ones providing the advertisements, timeshare resales are often a fraction of the retail cost for the same accommodations, allowing travelers like you to save up to 70%. In some cases, total savings can number in thousands of dollars, leaving both you and your wallet happy. 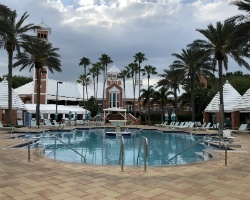 At the Hilton Grand Vacations at SeaWorld resort, timeshare resales are available in deeded weeks, floating weeks, and even Hilton Grand Vacations Club points. This type of variety allows you to find an ownership interval that meets your own vacation preferences, so you won't have to settle. What's more, timeshares at the resort are spread throughout Hilton Grand Vacations Club's Silver, Gold, and Platinum seasons. Resales at the resort are also eligible for HHonors rewards, Hilton's loyalty program. The Hilton Grand Vacations Club is regarded as one of the most resale-friendly timeshare brands in the industry. This means that Hilton imposes very few restrictions on resale buyers, and allows them to enter the Hilton Grand Vacations Club relatively easily. You can start making reservations at the HGVC SeaWorld resort immediately after the transfer of ownership is complete, or you may choose to spend your points on stays at other Hilton resorts located across the globe. The Hilton Grand Vacations SeaWorld resort is affiliated with RCI, the largest timeshare exchange brand in the world. With a catalogue of more than 7,000 resorts, you can pair a separate RCI membership with your Hilton SeaWorld resale and use it to travel the world. The resort has also earned a Gold Crown rating from RCI, thanks to its superior amenities and services. This rating will likely earn you a higher trading power on the exchange market, which will present you with more resorts to trade with. This Hilton resort is rife with on-site services and amenities designed to make your stay as convenient as possible. With three swimming pools, five whirlpool spas, and two kids-only pools, the sprawling swimming area is the perfect spot to lounge and enjoy the year-round warm weather. Activities for all ages are covered as well with a children's activity center, a playground, and shuffleboard and tennis courts. When it comes to dining, the resort's poolside breakfast is a welcome treat in addition to the Coral Reef restaurant, which serves up amazing dishes and cocktails. When it comes time to explore, the resort's free guests-only shuttle is an incredible perk. The shuttle transports guests to SeaWorld Orlando, Aquatica, Discovery Cove, and Universal Orlando resort. Families traveling with children will not want to pass up a trip to Orlando without stopping in at Walt Disney World, just a few miles south of the resort. Golfers will love hitting the links at nearby courses like Villas of Grand Cypress or Golden Bear Club. Other attractions like the John F. Kennedy Space Center are perfect for day trips outside the Orlando area. Already Own at Hilton Grand Vacations at SeaWorld?